Starbucks coffee and cinnamon rolls are a delicious pairing and a great breakfast to start a mini staycation! How was your weekend? We had a wonderful time! 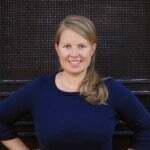 We wanted to have a fun day with our kids on Saturday but weren’t really sure what to do. We asked the kids to do a little brainstorming on some fun things they would like to do with the day. To start things off, we had cinnamon rolls, Starbucks French Roast (for the adults) and strawberry smoothies (for the kids) for breakfast. 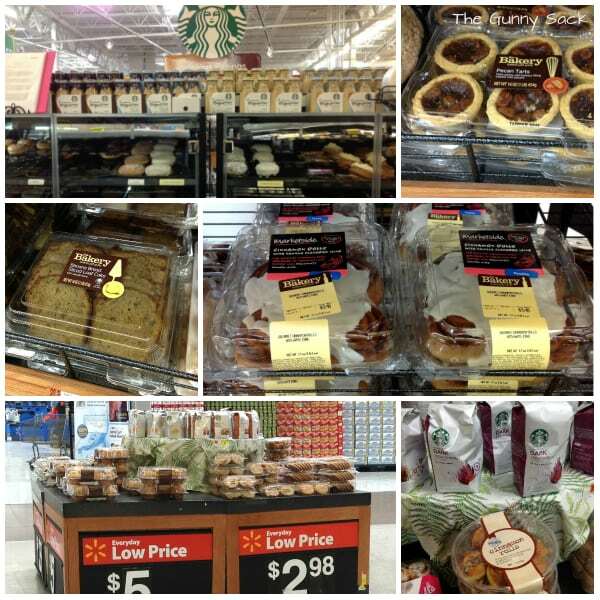 I was happy that I had picked up our breakfast from Walmart when I was shopping earlier in the week. 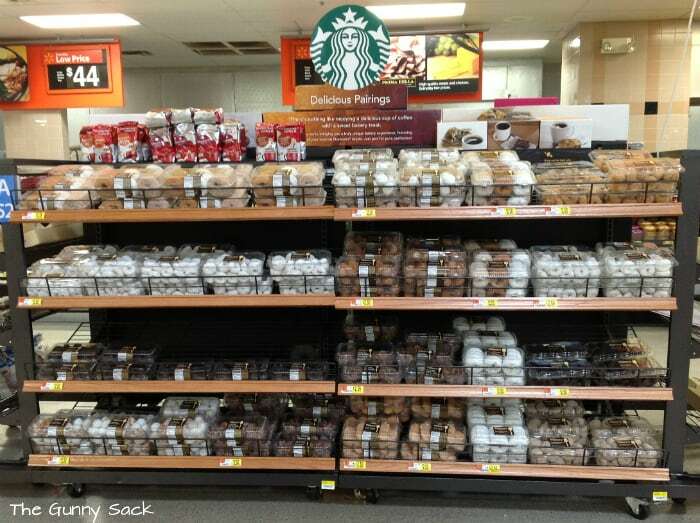 In the bakery department, right outside the deli, I found this Starbucks Delicious Pairings display ~ be sure to look for it at your Walmart! 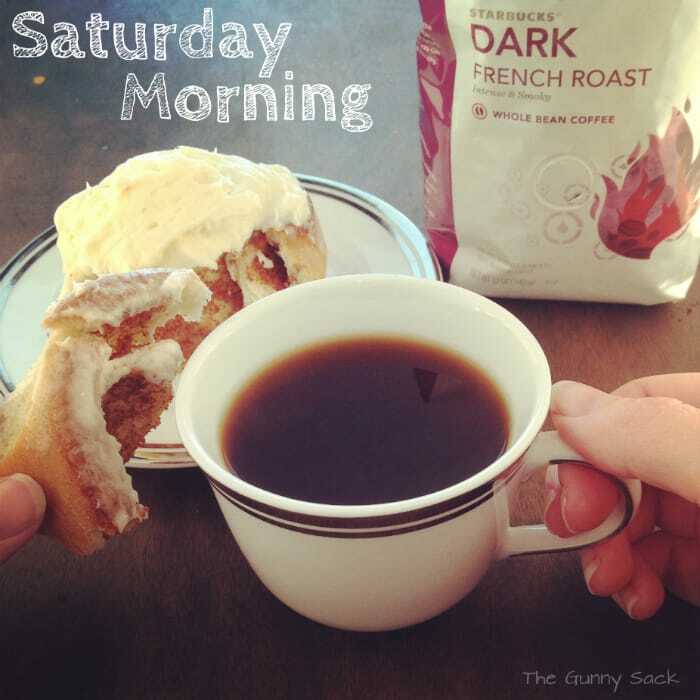 It says: There’s nothing like enjoying a delicious cup of coffee with a sweet bakery treat. 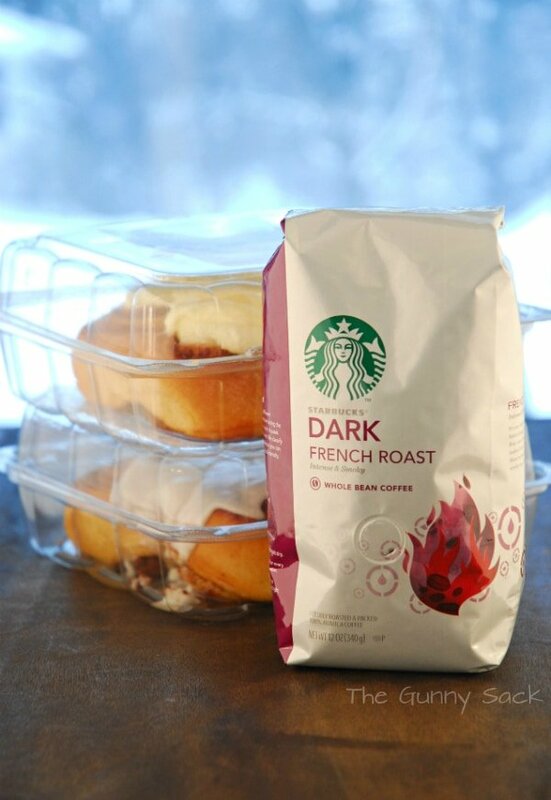 That’s why we’re bringing you a truly unique baking experience, featuring a variety of your favorite Starbucks roasts. Just pair for pure perfection! The three different Starbucks roasts listed on the display were blond, medium and dark. For the blond roast it says: Bring out the best with Starbucks Blond Roasts. Pairs best with citrus, milk chocolate and nut flavors. For the medium roast it says: Make Medium Roast even more memorable. Pairs well with nut, apple and blueberry flavors. 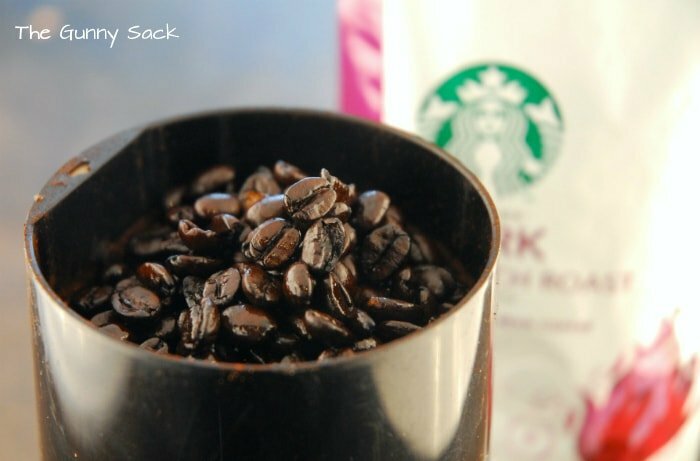 For the dark roast it says: Discover a delicious duo with Dark Roasts. Pairs well with roasted nut, caramelized sugar, roasted vegetables and milk & dark chocolate flavors. I spotted another smaller display right at the entrance and grabbed a bag of Starbucks Dark French Roast because we like the dark roasts. Right in front of the bags I saw some cinnamon rolls and thought they sounded like the perfect thing for us to have with our coffee. As I walked around the bakery department, I found pecan tarts which would be a great pairing with the dark roast because of the roasted nuts and caramelized sugar but I didn’t think my kids would be really excited about eating them for breakfast. I also spotted banana bread with nuts and it looked delicious but my kids prefer banana bread without nuts. Finally, I decided on The Bakery Cinnamon Rolls. I bought a package with white frosting and a package with cream cheese frosting. When Saturday morning arrived, we were excited to have breakfast! The cinnamon rolls were ready to eat so all I had to do was brew the coffee and mix up the smoothies. 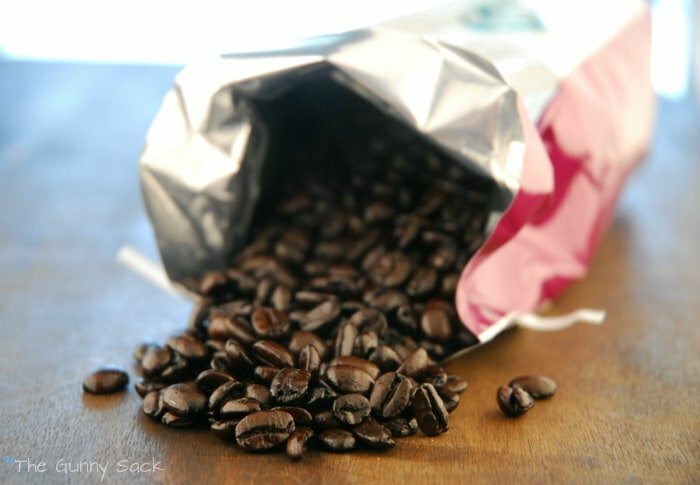 I typically buy ground coffee because it is easier for me but didn’t look at the bag closely enough and later realized that I purchased the whole beans. We have a coffee grinder so it wasn’t a problem. We purchase most of our coffee from retail stores and brew it at home. Since we live in a small town, there isn’t a coffee shop nearby and I love being able to make Starbucks coffee at home! Here is my breakfast, waiting for me to eat it. If you look closely at the top of the coffee cup you can see the curls of steam rising. Are you hungry yet? I sure am! First, I sipped the coffee and noted the dark flavor of it. It was strong and tasted a little like toasted nuts. Brian grabbed a cup and said he thought it was perfect: dark, strong but not at all bitter. Then, I had to have a piece of the cinnamon roll which was delicious and I followed it with more coffee. With the second sip of coffee, I really noticed the flavors of the cinnamon roll come alive! The cinnamon and sugar mixture in the roll really stood out and lingered in my mouth. I love the contrast of the coffee and sweet treats! 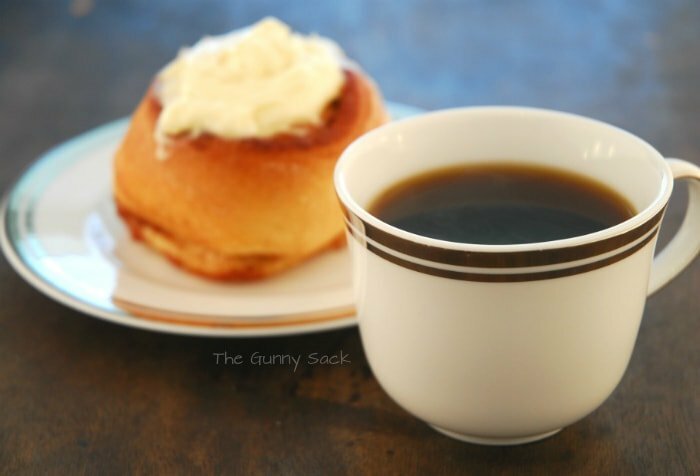 My grandma always offered something sweet when she served coffee saying, “Would you like a little sugar lump to go with your coffee?” This is why! Coffee and sweets make delicious pairings and if you can get the perfect treat to compliment the coffee flavor it is even better! 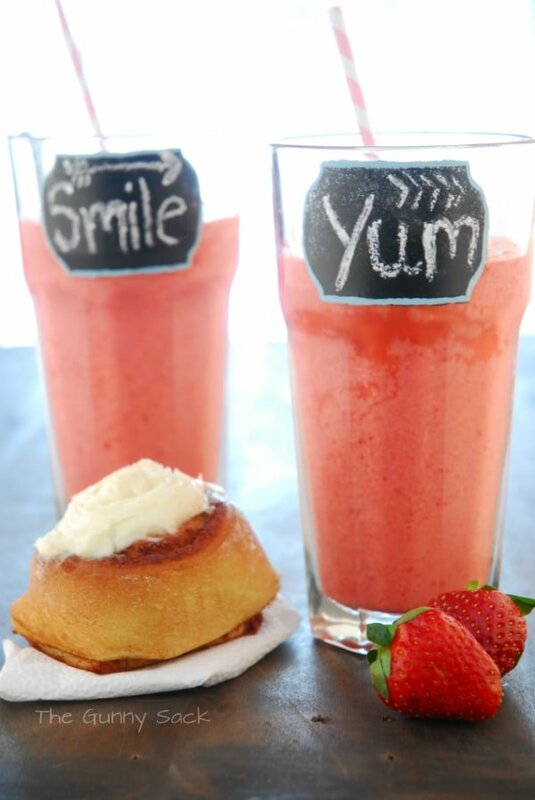 Here are the strawberry smoothies that my kids had for breakfast. I will post the recipe later this week. 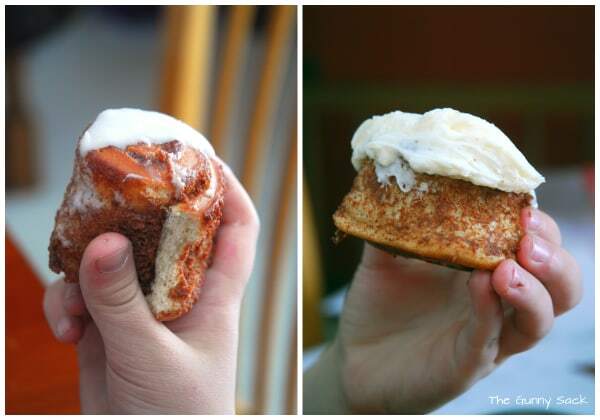 Zack had white frosting on his cinnamon roll while Christine and Vanessa had one with cream cheese frosting. So, what did we decide to do with our day of fun? 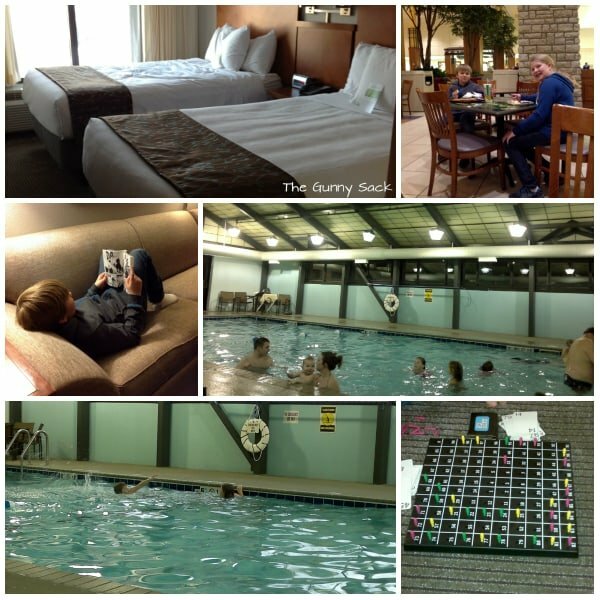 We looked over the list and one of the things on there was to stay at a hotel with a pool. I got online and found a great deal at a hotel that was not too far from our house and the hotel had a pool! We asked some friends of ours if they would like to come and they decided to join us. We were able to squeeze in a few more things from the list of fun things to do: go to Barnes & Noble and get Diary Queen. There was a mall near our hotel so we ate dinner, got ice cream for dessert and stopped by the bookstore before leaving. Back at the hotel, the kids swam and then we played board games until bedtime. They swam again in the morning before checkout and were delighted to have the pool to themselves! Our Saturday started with Starbucks coffee and cinnamon rolls, continued with a fun family day and ended with board games in a hotel with good friends! We can’t wait to do it again! What a great idea Tonia. Always wanted to do a staycation with the kids in our own big city. We do have a Starbucks but they probably don’t sell those beautiful cinnamon rolls. I’m sure I’ll find something else to go with the coffee! Best way to spend a Saturday in Minnesota for sure! You know it! But I can’t complain about the weather we’ve been having this week. Um, yes, I am definitely getting hungry! This looks like such a fun way to start the day (glad you didn’t give the kids coffee, lol) and the pool looks like a blast! Oh believe me, they would’ve taken some if I would’ve let them! They love coffee! Thank you so much for hosting every week. Enjoy your day!! How fun! My mom always used to take my sister and I to hotels for little staycations. Always made for great memories!